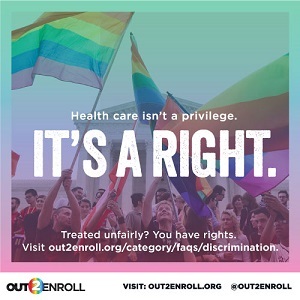 Posts specifically related to California health insurance, enrollment, premiums, plans, termination, Covered California, Medi-Cal, Medicare, small groups. On the old 1040 tax forms you report any repayment of excess Premium Tax Credit on line 46, and any additional PTC owed to you on line 69. For 2018, repayment of the PTC subsidy is reported on Schedule 2 Tax (line 46) and additional subsidy tax credit is listed on Schedule 5 (line 70) Other Payments and Refundable Credits. It’s important to know where to find these numbers if you are trying to forecast for the next year and are using the past figures as a guide. So here is the third subsidy bonus for large families. Not only are you billed for only three children, but you get a larger subsidy based on the entire household size. When you combine that with the inflated Silver plan rates, relative to the lower off-exchange Silver plans, large families get a nice subsidy to lower their health insurance premiums. You don’t pay for any more than three children, but you get the Premium Tax Credit as if the whole family were being billed for health insurance. The Health Net PPO, not to be confused with the EnhancedCare PPO offered through Covered California, is the only plan that will give plan members access to both the Stanford doctors and hospital. These plans are only sold off-exchange or directly from Health Net. Plan enrollment is limited to certain regions and counties within California. Not all family members have to have the same carrier either. Some family members can enroll with a more expensive PPO plan while other individuals enroll in an HMO from the same company or completely different carrier. 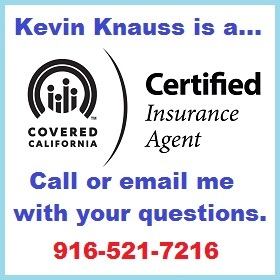 I have clients where some family members have chosen the Blue Shield PPO plan and other household members are with a less expensive Kaiser plan. The underlying assumption is that honest and ethical people will continue to pay their premiums even after their health care challenge has passed. But these people who cancel the health plan after treatment don’t value health insurance and don’t understand the financial structure necessary to keep the rates low for everyone. Their actions of terminating health insurance after they have received their expensive health care services are driving up the rates for everyone. In December, during the Open Enrollment Period, she enrolled in the previous health plan for the 2018 year. The health plan took her first month’s premium payment, applied it to her past due balance, and then terminated her coverage at Covered California. Under the new rules the health plan is within their rights to take her money and deny her coverage for 2018. A glaring deficiency in the report is the failure to attribute any decline in enrollments, either on the federal level or at Covered California, to an improving economy. Unemployment is at record low percentages and more people are working for employers who offer group health plans. Covered California’s own small group plans have seen increased enrollment since its inception in 2014 and their budget report estimates continued enrollment growth. The health plans and Covered California may give lip service to the value of the agent community, but it is not reflected in the compensation we receive. I’m not trying to get rich as an insurance agent. My net revenue listed on my Schedule C for 2016 was $34,000. If the new compensation schedules significantly erode my insurance revenue then I will have to find other income streams. Maybe Covered California will hire me to answer phone calls; I hear they have a great benefits package. A review of health insurance rates in Northern and Southern California shows rates for young adults will increase between 30% to over 40%. Instead of the 6% to 16% increase in rates for adults only, families could experience a 20% increase in health insurance rates in 2018. If you review the 2018 Covered California rate booklet, which doesn’t actually have any rates in it, you notice that many of the carriers are having modest rate increases. Most of the rate increases are around 10% or less. Some carriers such as Blue Shield, Health Net, and Oscar are dropping rates in some regions. What jumped out at me was Molina which was identified as having rate increases at a minimum of 16% and up to 51% in the regions they offer health plans.